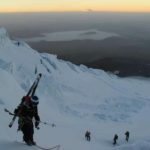 Enjoy going down the slopes of Chimborazo, Cotopaxi and Cayambe on this 15-day splitboarding program led by Pablo, an IFMGA certified mountain guide. 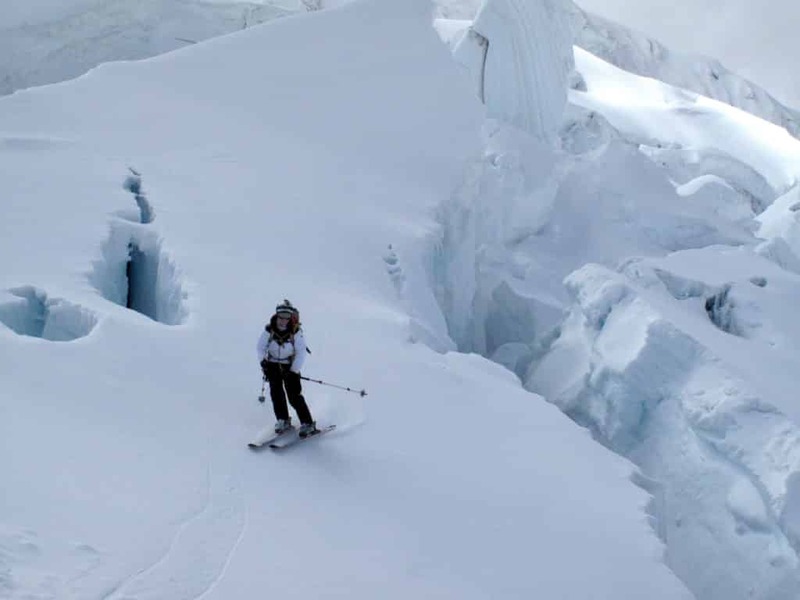 Are you looking for an extraordinary splitboarding adventure? 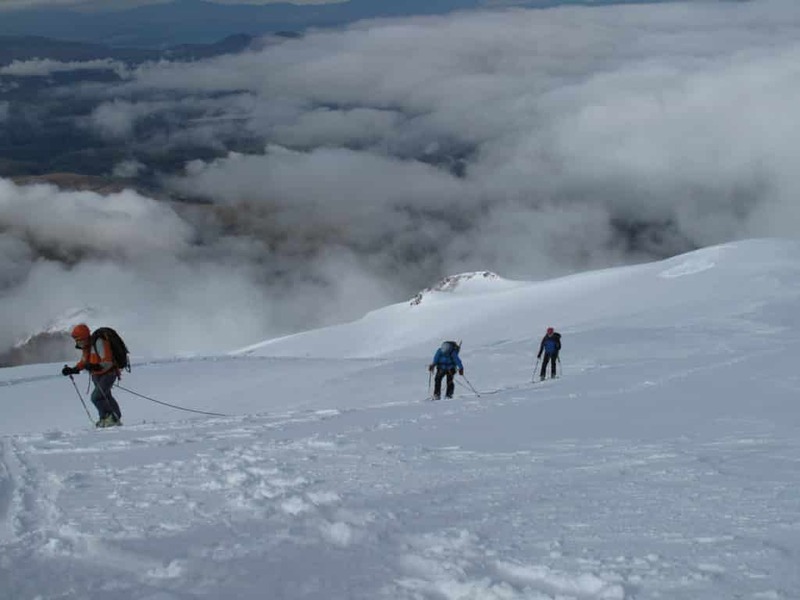 Then this 15-day program to Chimborazo, Cotopaxi and Cayambe, the three jewels of Ecuador, is the perfect choice for you! 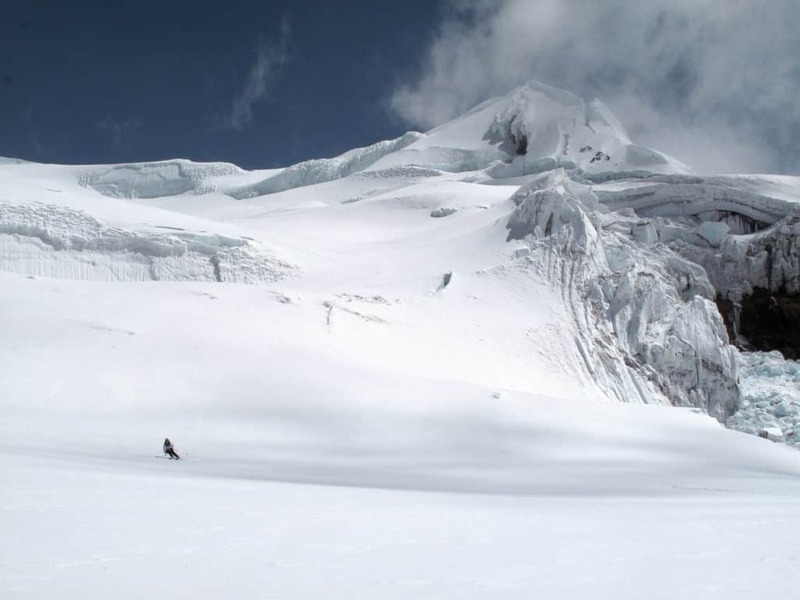 Chimborazo (6,263 meters), Cotopaxi (5,897 meters), and Cayambe (5,790 meters) are the three highest summits in Ecuador. They are all stratovolcanoes that belong to the Andes mountain range. On our tour we will explore these three stunning peaks. First, we will visit some of the Quito highlights. Quito is the capital of the country and is a fascinating spot that combines indigenous and hispanic cultures. Then, after exploring the city, we’ll start with acclimatization climbs to Fuya Fuya (4,263 meters) and Imbabura (4,630 meters). 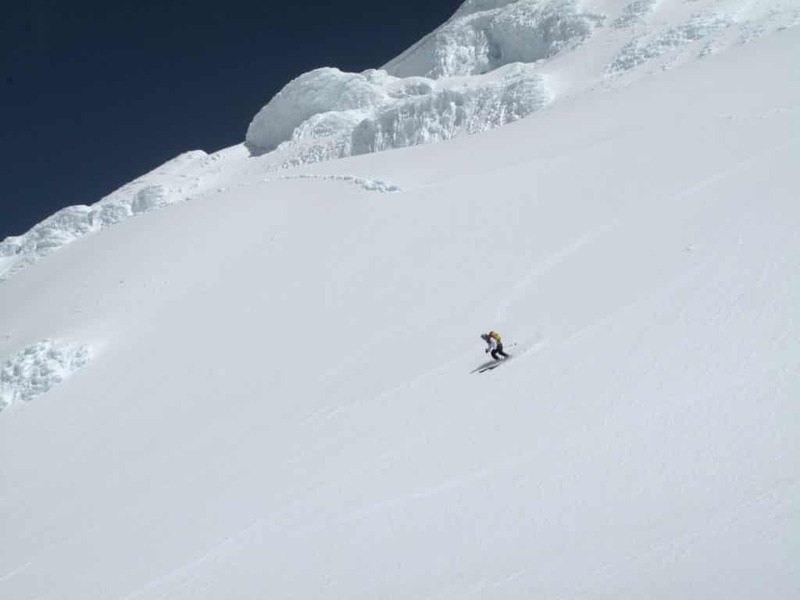 After that, we’ll begin the approach to the three summits. 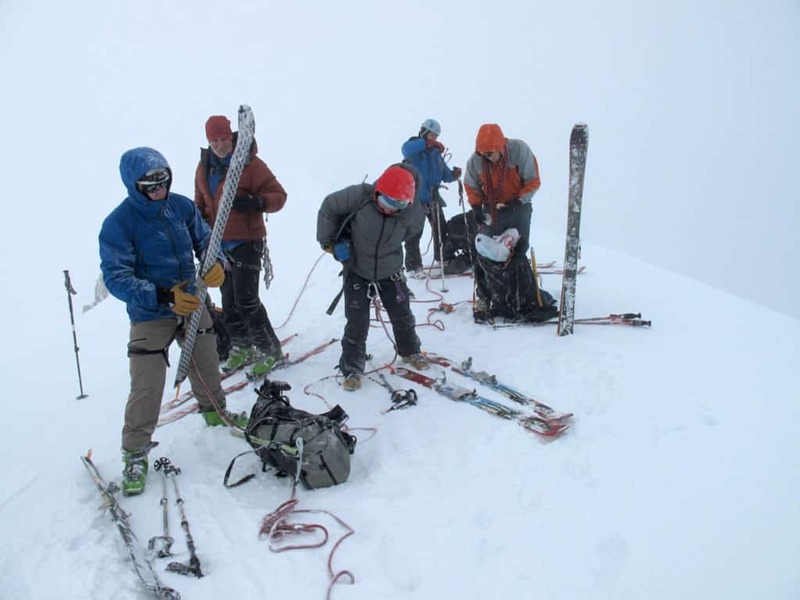 Additionally, during the program, we’ll also have a few extra days that we can use either to rest or to explore another summit. We will decide what to do according to your wishes. At the bottom of the page, you will find a more detailed description of the itinerary. So take a look at it and get ready for a great adventure! Regarding accommodation, we’ll stay in different hotels and mountain huts on the way. Breakfast will be included. Additionally, we will explore small towns and lovely spots in the region. Therefore, we will also get to experience the colorful local indigenous culture in between climbs. 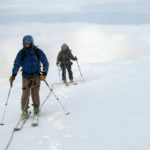 Because this is a challenging adventure in the Andes, this program is for advanced splitboarders. Also, you will need a very good level of fitness. Of course, I will be there to help and guide you on the way! 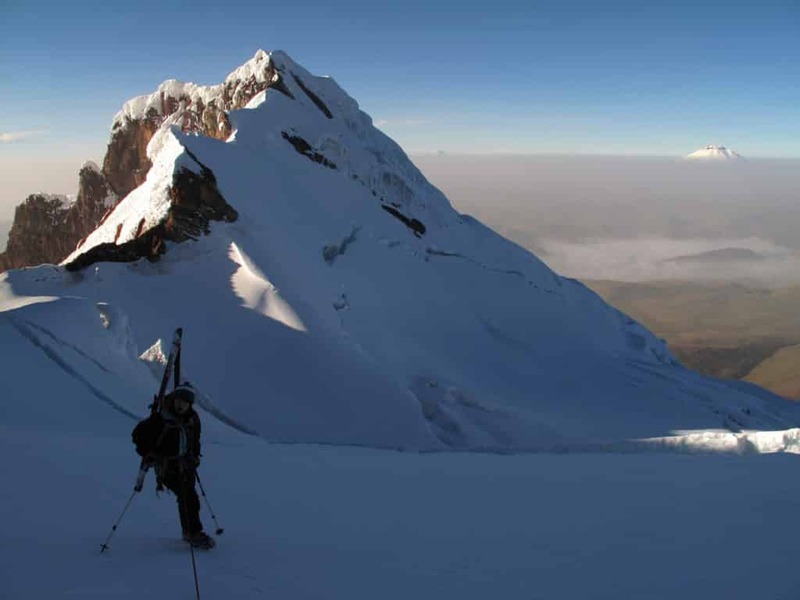 So are you ready for this tour around the three highest summits of Ecuador? Then send your request now and start planning this adventure to Chimborazo, Cotopaxi and Cayambe! 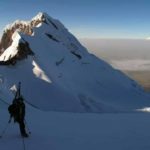 Additionally, if you are looking for more excursions in the area, I also offer a climbing trip to Illiniza, Altar and Chimborazo. Check it out! Accommodation in a hotel in Quito. First, we will start our trip with a guided tour in the city of Quito. We’ll visit the monument “Mitad del Mundo” which marks the line of the equator. Then, we will spend the night in a hotel there. 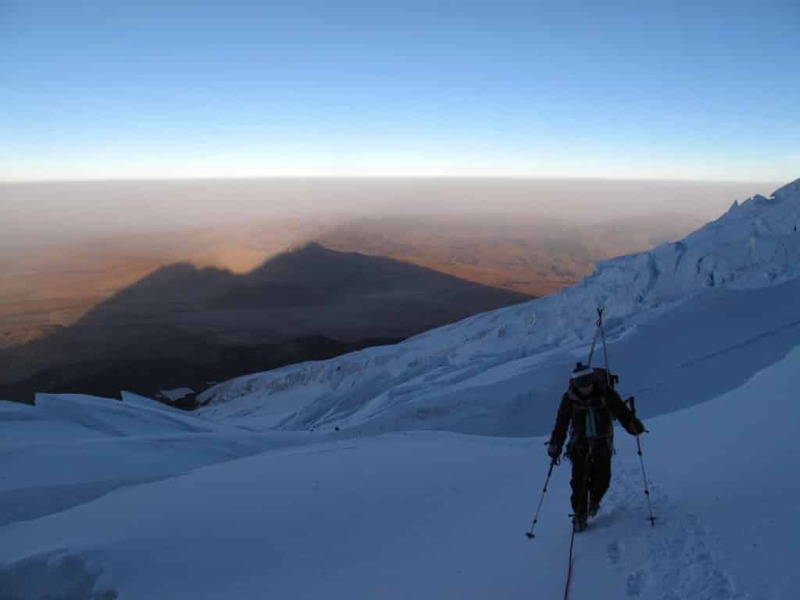 First, acclimatization climb to Fuya Fuya (4,263 meters). Then, overnight in a hotel in Otavalo. We will start with another acclimatization climb, this time to Imbabura (4.630 meters). Finally, accommodation in Otavalo again. Visit of the Peguche village and “Plaza de Ponchos”. Night in Otavalo. 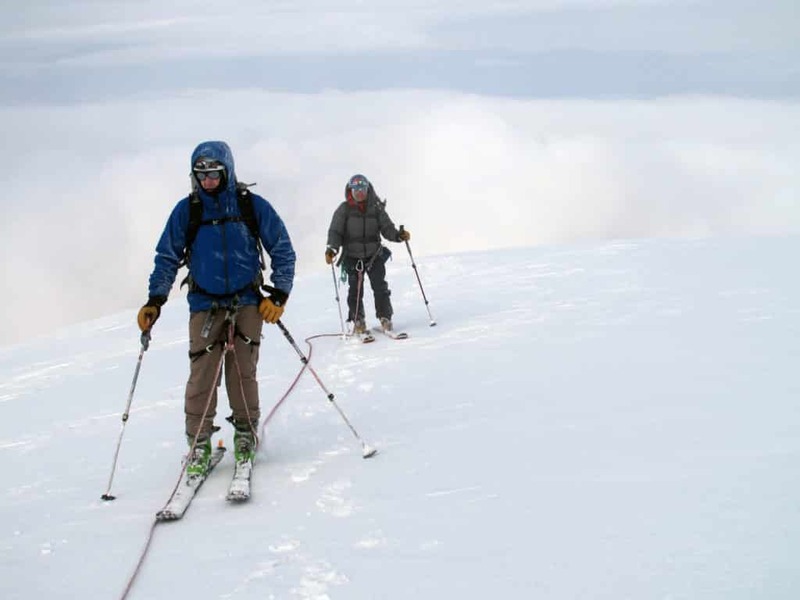 First, we’ll go to the Cayambe-Coca Eco Reserve and start warming up. Then, we’ll spend the night in the Ruales Oleas Berge mountain hut. 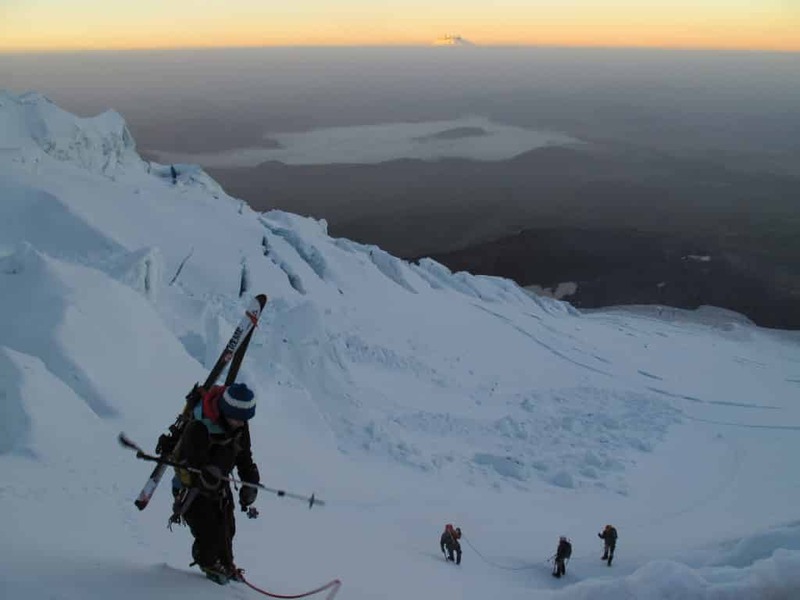 We’ll climb the Cayambe (5,790 meters) and enjoy its descent. Night in a hostel in the town of Cayambe. 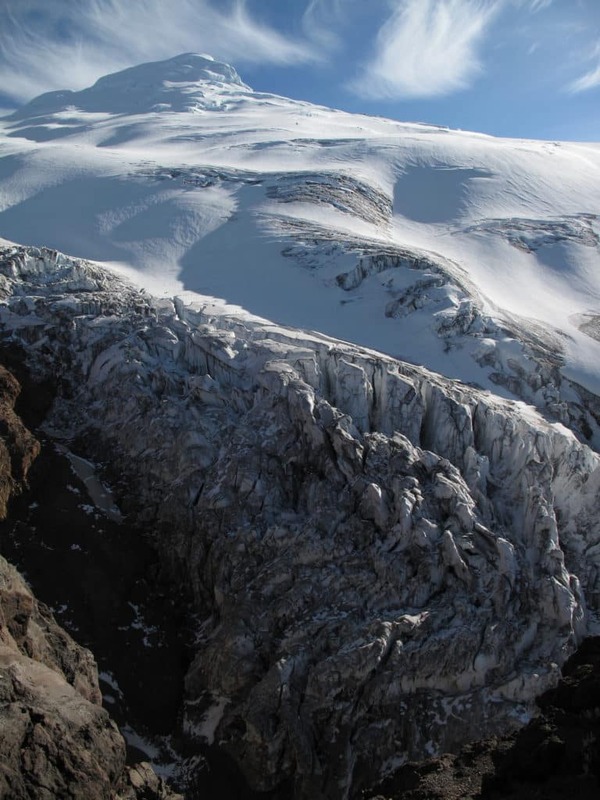 We can spend this day at the Papallacta hot springs or try another summit in Cayambe. Accommodation in a hotel in Quito. 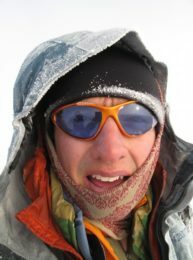 We’ll go to the Cotopaxi National Park and sleep in the José Rivas hut. 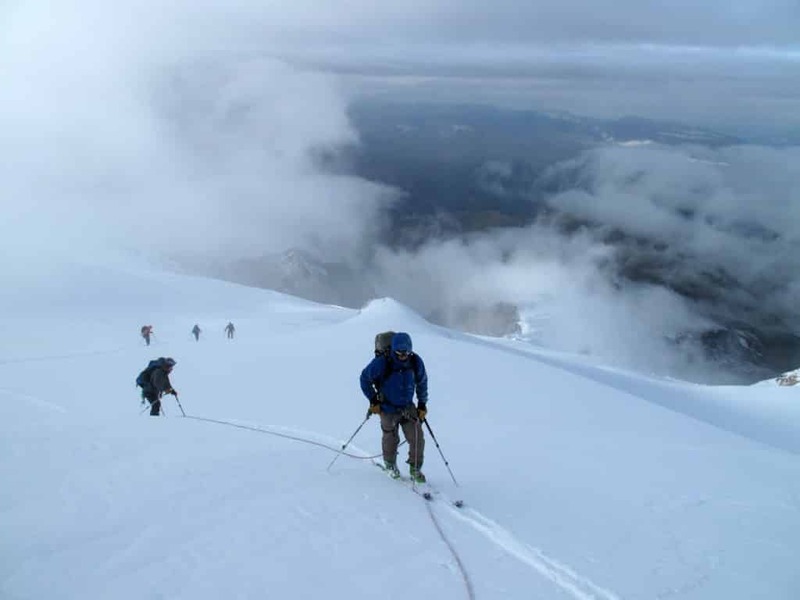 We’ll climb the famous Cotopaxi volcano. Then, the accommodation will be in a hotel in Baños. We can use this day to rest or to go to another summit in the area. We’ll go to the Chimborazo Wildlife Reserve and spend the night in Hermanos Carrel hut (4,800 meters). Finally, time to climb the highest peak in Ecuador! Accommodation in a hotel in Riobamba. Extra day in Riobamba and overnight in a hotel in Quito. We have come to the end of the trip. After breakfast in Quito, we’ll say goodbye. 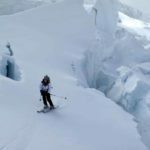 Splitboarding - 11 days - Interm.